MINNEAPOLIS, Minn. (June 30, 2017) – The Goodman Group announced that Bill Howell has been promoted to Director of Operational Development within its company, JBG Design & Development. He will now be based at the corporate office in Chaska, and will oversee all aspects of the $70 million Stillwater, Minn., senior living campus scheduled to open late 2018. Since 2013, Howell has been working for The Goodman Group in the United Kingdom. He has held several positions within the company, the most recent being Director of Operations in the United Kingdom. 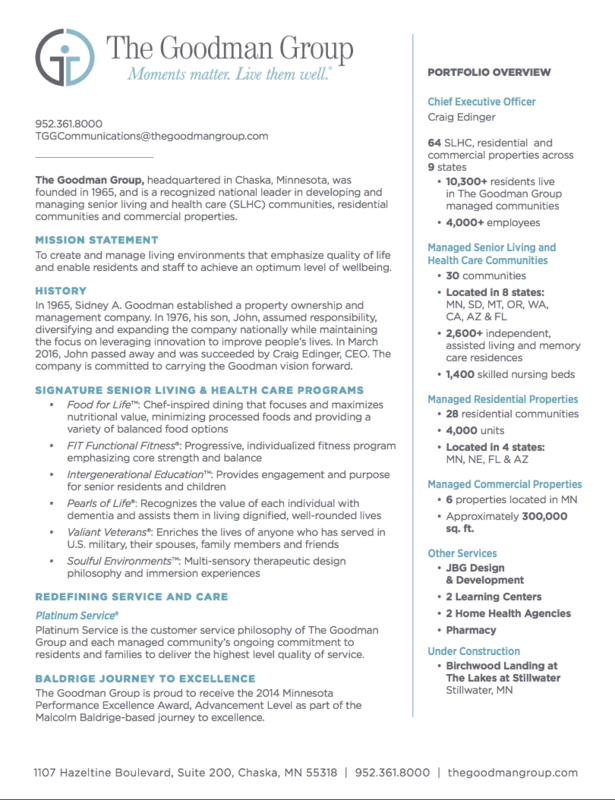 Howell comes to The Goodman Group with more than 20 years of experience in all areas of long-term care operations, development, and management. Prior to The Goodman Group, Howell was the Business Operations Manager for a health care nonprofit where he streamlined staff operations, resources, revenues, and processes. 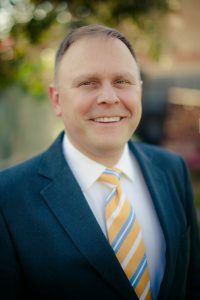 He was also the Group Operations Manager for skilled nursing and residential properties after working as an Executive Director for several senior living organizations. Howell has a Bachelor of Science in Health Policy and Management from Pennsylvania State University.